Even though no one really wants to see their loved ones declining, the fact is that we all want the very best for the people we love. This is particularly true when it comes to picking an appropriate nursing home for our elderly, so make sure to stay with us and keep on reading if you want to learn how to get it done in the best possible way. It definitely is a quite emotional and often a very challenging process, so check out our four useful tips and get more familiar with the process. The first and one of the most important steps when it comes to picking the best nursing home for your loved one is finding an appropriate type of a nursing facility. You should know that there are three levels of care out there so that you can choose an appropriate one according to your loved one’s needs. The first type is called independent living, which is also known as a life plan community or a continuing care retirement community. There’s assisted living, too, and nursing homes based on this type help their patients with eating, bathing, dressing, toileting, and medication. 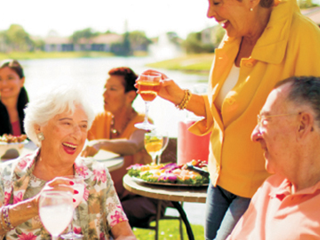 The last type is called skilled nursing, which includes round-the-clock nursing care. People often opt for skilled nursing if their elderly are no longer able to control their bowels or bladder. Of course, you should look for a facility that has a registered nurse on duty at all times, so that your loved one has the best possible care, without exceptions. Truth be told, the overall appearance of a care home, both interior and exterior, is usually a good indicator of what it’s like to live there, so be sure to bear that in mind as well. Besides that, you’ll also get a chance to see what the staff and the management of a particular nursing home are like, which is an extremely important aspect that must be taken into consideration. The first thing you should pay attention to is whether the facility in question is clean and tidy, both inside and out. You should take a closer look at the rooms in order to determine if these are well-maintained with clean linen and if personal items like family photos are allowed. Elderly residents often feel cold due to decreased circulation, so make sure to see if there are enough blankets in the rooms, too. Unfortunately, a lot of nursing homes tend to smell of urine or feces, so take this factor into consideration as well. After all, you want only the best nursing home for your loved one, so don’t be afraid to ask as many questions as you need and want. Speaking of the layout of a particular nursing home, we must mention that there are two main room types: there are private rooms, as well as shared ones. The fact is that some facilities offer shared rooms only, some have a mix of both private and shared rooms, while some offer only private rooms. Your final choice should undoubtedly depend on your loved one’s personal preferences – if they love their privacy and won’t stand to sleep in the same room with a few other people, you should certainly opt for a nursing home that offers private rooms. On the other hand, homes with shared rooms are a fantastic choice for elderly residents who enjoy being in the company of others, so find a nursing home that offers these in the first place. Apart from that, you should also carefully pick a room in relation to other facilities in a nursing home, such as the dining room and games room. This is particularly important if your loved one has trouble walking long distances, so ensure to get them a room closer to the main areas of the facility. 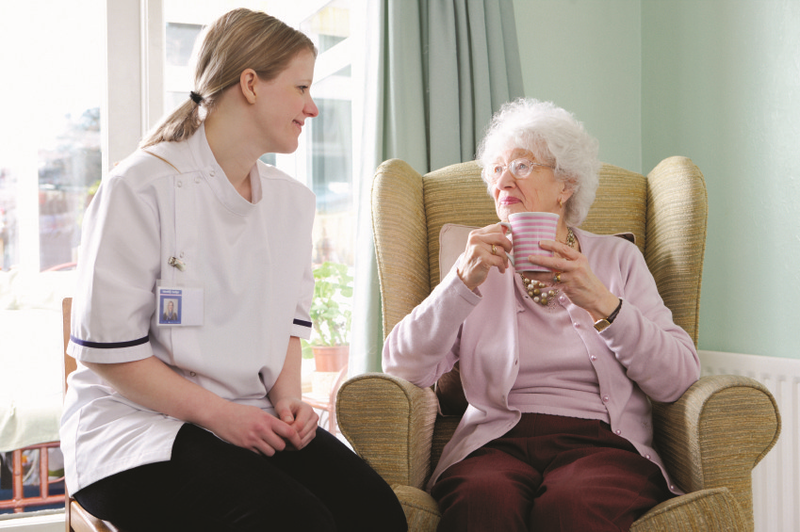 Before making a final decision, you should definitely go for a tour and an interview in a particular nursing home – better safe than sorry, right? Visiting nursing homes at different times of the day is always a good idea, as there are different staff and staff ratios on morning and afternoon shifts. You should assess if there is enough staff to care for the residents – if the employees look tired, stressed out, or are in a rush, it’s highly likely that the facility is understaffed. You can also visit the nursing home on weekends, when the management is usually not present so that you can have a small talk with the staff in order to see if they enjoy their jobs. Being present when the meals are served is never a bad idea either, as it’ll allow you to check out the quality, quantity, and the variety of food the residents are getting daily. Of course, beautifully decorated rooms and lovely gardens don’t really matter if the residents don’t appear to be happy and satisfied, so try to determine that in the first place and you won’t make a mistake. As you can see, there are a lot of things you should bear in mind while looking for the best nursing home for your loved one. Just make sure to stick to our tips and you’ll undoubtedly make a good decision!